As an extension to my “List of things you thought were true about the Golden Dawn but weren’t”, below is a list of things that huge chunks of Internet bandwidth are wasted on. These give outsiders and insiders the impression that they are important. Yet the Golden Dawn Tradition can safely do without them. The myth: That it is incredibly important to have a connection with the original Golden Dawn. It is vital that your group claims some lineage. The reality: If Lineage had any magical use the GD would be dead in the water as there would not be a Golden Dawn order in existence that could claim it. For Lineage to take place you would require written permission from the Chiefs of the last surviving Orders given to a fully initiated person of at least Tham. Magically there is no advantage in having your chief received a piece of paper signed by another chief. What matters is the ability of your temple and its officers to initiate. Felkin had no warrant to set up the SM from Mathers or Westcott, but his temple between the 1920s and 1960’s was staggering. Later the temple gradually lost this ability. Lineage with Whare in the 1970s was only marginally more useful than lineage to the Westlife fan club. It is a moot point whether the original Golden Dawn was anything more than a co-masonic group with very little magic on offer. Linking to this might not be as interesting as you think. In my view it is more important who taught you and what you learnt. This is a sort of spiritual lineage. If your teacher was a barking mad person who knew nothing about magic and insisted you wear a kettle on your head, then your spiritual lineage is less important than if you were taught by Jesus. Myth: The Chief Adept of every Order talks to secret chiefs and this gives them special powers to teach and initiate. Reality: Secret Chiefs creates an air of mystery around the Chief Adept and raises them to almost Pope-like status. There are two flavours of Secret Chief: those who are real people and those who are ‘contacts’. Contacts are the most common these days however you still find Secret Chiefs popping out of the woodwork. Mathers was so desperate to meet them that he considered Mrs Horos a secret chief until she turned out to be a con-woman. There is something that happens when you take some responsibility for a group but anthropomorphising this is not helpful. As Chic Cicero once told me that you do not need to search for Secret Chiefs, if you are doing the work they come looking for you. You certainly do not need to believe in them, or accord yourself status thanks to your connection to them. It is a bit like accord yourself status when you turn on the light switch because you have bought light to dark places. Secret Chiefs, or contacts, are similar to Platonic Ideas, which the leadership has to bring through into what ever flavour school they are doing. In fact they never need to be mentioned at all. Some Chiefs would think that these would be their own ideas, and no one else in the world could tell them otherwise. 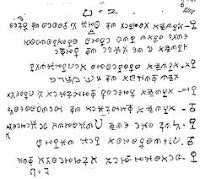 Myth: It is very important that Westcott did not forge the Sprengel documents because it weakens the Golden Dawn if it had no connection to continental magic groups. 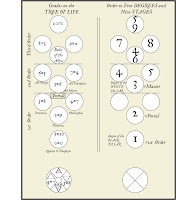 Reality: When you are doing your lesser ritual of the pentagram you are unlikely to think about Sr Sprengel or whether or not Westcott had the right to set up the Golden Dawn. You get initiated, you have your magical experiences, you train in it as your path. 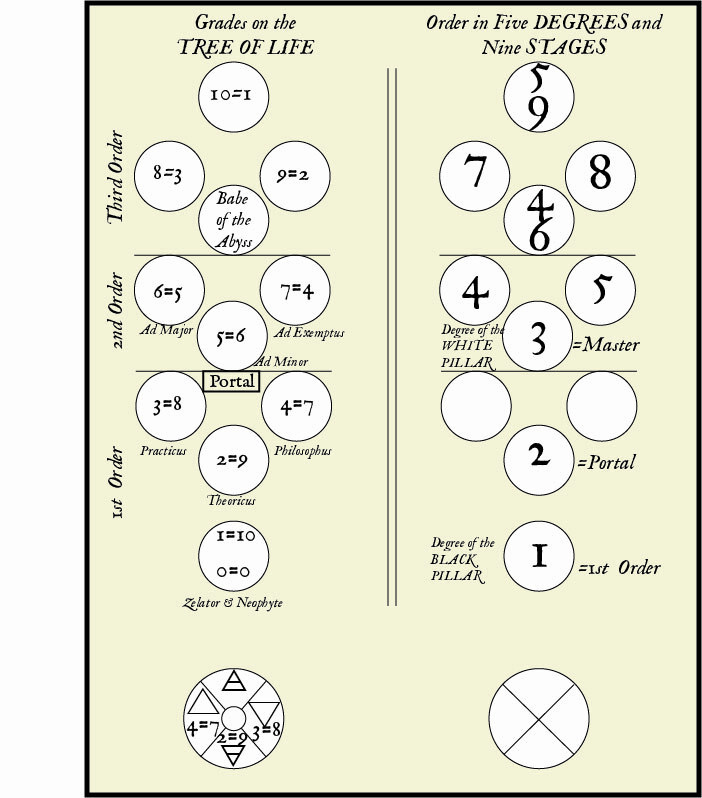 The fact that the Golden Dawn system worked is proof of Sprengel’s existence was unimportant because the most important changes were done without her. .
Sprengel disappeared long before the Golden Dawn became magical and Mathers wrote the 5=6 material. She also did not help correcting the rituals or writing the lessons. All she did was give permission for the GD to run and it is a moot point as to whether that was required. Myth: If they were written by one prominent magician or another is vital to the Golden Dawn. 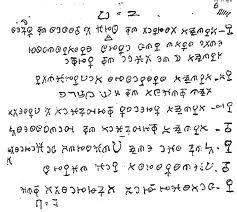 Reality: The Cipher Manuscripts are not particularly important to the over all development of the Golden Dawn. They provided a structure for Mathers and Westcott to build the outer order. They required a lot of fleshing out to be usable. Most members of the Golden Dawn never saw them. While I think they were written by McKenzie, there is little to suggest that it would have made any difference to GD history if they were written by Butler Lytton or Enid Blyton. Myth: It was important that you believed in re-incarnation to carry out your GD work. Reality: Some people did and some didn’t. 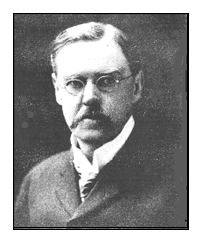 Dion Fortune’s student William Butler said that it was important to accept re-incarnation as a working theory. For years I did this. Now I don’t. As a theory it did not work and lead to silliness. My magical ability did not change a bit and it saved me having to worry about the fate of Atlantis. Myth: The Golden Dawn was a Christian Order. Reality: Although there were moves to Christianise the later Golden Dawn groups the template of the Outer Order is not specific. The second order is Christian but in an incredibly wide sense. Jesus is not really seen as the Nazarene, but more of a force of divine forgiveness within the universe. This has meant that it can be seen as Christian, pagan or neutral according to the group minds of users. Myth: As you go up the ladder of grades you become a better magician thanks to the doors that are opened by the initiation rituals. It is therefore more important to have a chief who is the highest grade possible (7=4 and above). Reality: Grades are important to provide structure to the work. But there is no magical status in them. The grade rituals do have an effect but only at a level that the person is able to receive it at the time. The rituals provide doorways and there is no guarantee that anyone will walk through them. There is no consistency about what a grade means between different Golden Dawn Orders as grades are given to students for different reasons. Some orders insist that a person receive a grade for sitting a test, others prefer that a person shows signs of magical ability or alchemical changes in their personality. Other people get grades by shagging their initiator, or paying large sums of money. One group can make you spend 15 years to get to NAM while another will stick you through the grades in a weekend. Real status is your experience and your ability to let the magic change you. If you are 10=1 and spend your days trying to cheat your fellow man, and try to tear down the work of others then you are not even a 0=0. Myth: The Golden Dawn is an intellectual order and everything has to be seen and understood by the mind. Reality: No one intellectually understands the Golden Dawn system. It is a spiritual- magic process. Intellect is useful, you can intellectualise experience and write long tomes about it, but at the end of the day it is what you do and your connection to the One Thing that matters. Reality: In the history of the Golden Dawn, the Order used that name the least (just ten years). It was also called the Alpha et Omega, The Stella Matutina and Smaragdum Thalasses much longer than it was ever called Golden Dawn. No one ever suggested that the name of the order ever changed the work of the order. Changing the name was a good way of avoiding it becoming public or associated with scandal. It also was a good method of dividing the group mind if your group splintered away from another group. Great list-thanks. Maybe it’s cos of the isolation of Perth, but I am surprised that any significant group of people still REALLY believe some of these myths. It just seems daft these days to be worrying about the authenticity of the Sprengel Letters as if they were bloody holy writ. That said, a few comments. 🙂 I think you are dead on the money re ‘spiritual lineage’. I have seen teacher to student spiritual lineage in the art of magic passed on when both were members of the same Order. The Order’s lineage was worthless magically, but the teaching lineage was gold. I agree with you and Chic; the ‘secret chiefs’ will come when and if they are needed, and maybe not in any anthropomorphised way at all, in which case, yes, no need to mention them. That said, I have seen the inner contact system (not in any way connected to running an Order where it would be a damn silly intervention) work well and produce much practical and magical teaching. Some people and groups can work this method healthily, many simply go to pot. About Christianity… the point of the post was “is it really important to the fabric of the GD to say that the Inner Order is Christian”. Isn’t Christianity based upon older material? If some believe, by reason of evidence, Christianity to be a political invention of Rome, does this somehow invalidate these people from belonging to one of the Golden Dawns or Rosicrucian teachings? It seems to me that I would have a difficult time “pretending” to be open to Christian mysteries, when in my heart I believed the underlying principles were just grafted onto a state inspired religion. I would have to reframe the principles or teachings in my mind so as to be separate from Christianity. While this is not the time or place to really go into it, there are some distinct differences between Christianity and the older material it used – the belief in the incarnation of the Messiah being one. As Nick says, the GD is not a Christian Order, so anyone with any thoughts can be part of it. As for Christianity being a political invention of Rome, this is not quite true. ‘Christianity’, in many diverse forms, existed for a few hundred years before it stopped being persecuted by Roman authorities and became the Roman state religion. It was never a Roman invention, only co-opted later by the Empire. Knowing the history of this would not in any way invalidate someone from being a Rosicrucian. Thank you for your insightful reply. It is instructive. With regard to my statements that Christianity is a political invention of Rome, I was a bit broad. I meant as Chrisitianity is more often thought of today exoterically. I did not mean to speak of those “many diverse forms” that existed prior to Rome co-opting the central idea. Can you point me to a more appropriate blog (one of yours maybe) where this discussion about the “Christian mysteries” and their incorporation into hermeticism can continue just a bit? I don’t want to go that far off point from Nick’s topic here. I disagree with your statement that “the belief in the incarnation of the Messiah [is] one” of the distinctions that distiguishes “older material” from Christianity. I believe this concept predates Christianity, i.e., Horus. But as I stated, I don’t want to diverge too far here from Nick’s topic matter for this blog. I’d be happy to continue the discussion on MOTO.